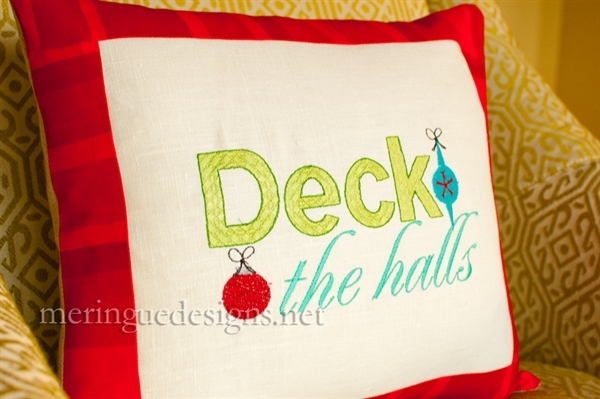 "Deck the Halls with boughs of holly...fa la la la!" 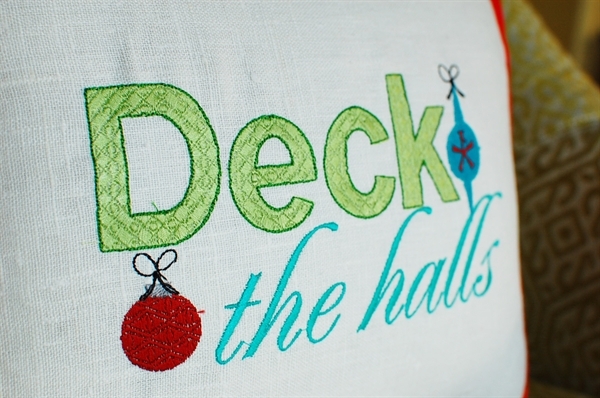 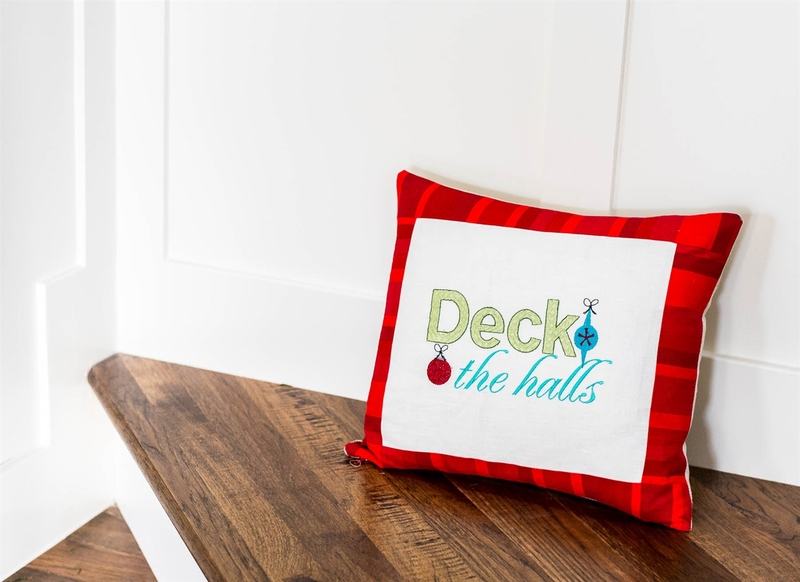 deck the halls 3x7 no outline around "Deck"
deck the halls 4x8 no outline around "Deck"
**If your embroidery machine isn't very precise I would recommend not outlining the word "Deck" because if it isn't 100% precisely outlined it will not look good. 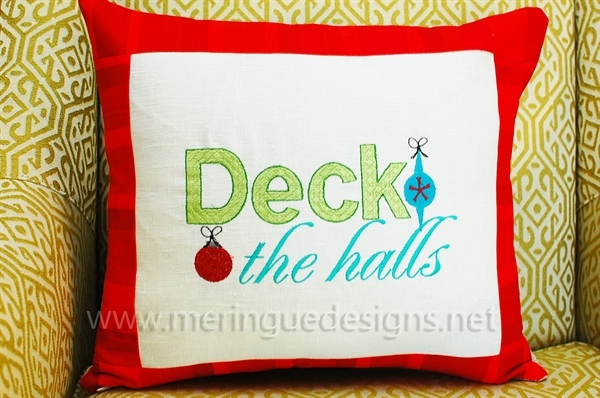 I always recommend stitching a sample first.